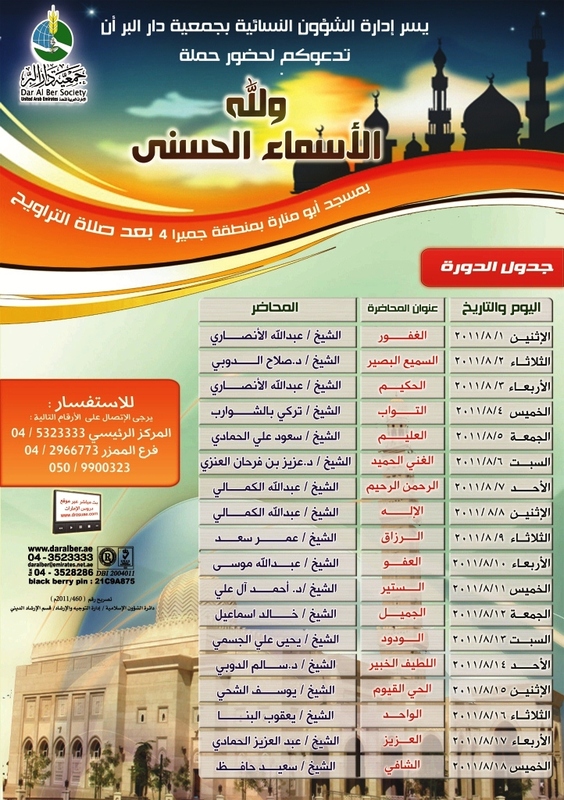 For those like me, who prefer to listen to Arabic lectures, here are two places which will have lectures in Arabic (after the Taraweeh prayers). [Note to those outside the Emirates: All the lectures are being broadcast live so you can listen in. We are +4 GMT and the adhan of Isha is at 8:40pm so Taraweeh might tend at 10:30 pm, insha-Allah.